For the magazine, see Parenting (magazine). For parental care in animals, see Parental investment. Parenting or child rearing is the process of promoting and supporting the physical, emotional, social, and intellectual development of a child from infancy to adulthood. Parenting refers to the intricacies of raising a child and not exclusively to the biological relationship. The most common caretaker in parenting is the biological parent(s) of the child in question, although others may be an older sibling, a grandparent, a legal guardian, aunt, uncle or other family member, or a family friend. Governments and society may also have a role in child-rearing. In many cases, orphaned or abandoned children receive parental care from non-parent blood relations. Others may be adopted, raised in foster care, or placed in an orphanage. Parenting skills vary, and a parent with good parenting skills may be referred to as a good parent. Parenting styles vary by historical time period, race/ethnicity, social class, and other social features. Additionally, research has supported that parental history both in terms of attachments of varying quality as well as parental psychopathology, particularly in the wake of adverse experiences, can strongly influence parental sensitivity and child outcomes. In psychology, the parental investment theory suggests that basic differences between males and females in parental investment have great adaptive significance and lead to gender differences in mating propensities and preferences. A family's social class plays a large role in the opportunities and resources that will be available to a child. Working-class children often grow up at a disadvantage with the schooling, communities, and level of parental attention available compared to middle-class or upper-class. Also, lower working-class families do not get the kind of networking that the middle and upper classes do through helpful family members, friends, and community individuals or groups as well as various professionals or experts. A parenting style is indicative of the overall emotional climate in the home. 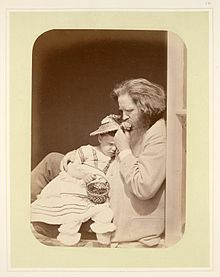 Developmental psychologist Diana Baumrind identified three main parenting styles in early child development: authoritative, authoritarian, and permissive. These parenting styles were later expanded to four, to include an uninvolved style. On the one hand, these four styles involve combinations of acceptance and responsiveness, and on the other hand, involve demand and control. Research has found that parenting style is significantly related to a child's subsequent mental health and well-being. In particular, authoritative parenting is positively related to mental health and satisfaction with life, and authoritarian parenting is negatively related to these variables. Described by Baumrind as the "just right" style, it combines a medium level demands on the child and a medium level responsiveness from the parents. Authoritative parents rely on positive reinforcement and infrequent use of punishment. Parents are more aware of a child's feelings and capabilities and support the development of a child's autonomy within reasonable limits. There is a give-and-take atmosphere involved in parent-child communication and both control and support are balanced. Research[vague] shows that this style is more beneficial than the too-hard authoritarian style or the too-soft permissive style. Authoritarian parents are very rigid and strict. High demands are placed on the child, but there is little responsiveness to them. Parents who practice authoritarian style parenting have a non-negotiable set of rules and expectations that are strictly enforced and require rigid obedience. When the rules are not followed, punishment is often used to promote future obedience. There is usually no explanation of punishment except that the child is in trouble for breaking a rule. This parenting style is strongly associated with corporal punishment, such as spanking and "Because I said so" is a typical response to a child's question of authority. This type of parenting is seen more often in working-class families than in the middle class. In 1983 Diana Baumrind found that children raised in an authoritarian-style home were less cheerful, more moody and more vulnerable to stress. In many cases these children also demonstrated passive hostility. Permissive, or indulgent, parenting is more popular in middle-class than in working-class families. In these settings, a child's freedom and autonomy are highly valued, and parents tend to rely mostly on reasoning and explanation. Parents are undemanding, so there tends to be little if any punishment or explicit rules in this style of parenting. These parents say that their children are free from external constraints and tend to be highly responsive to whatever the child wants at the time. Children of permissive parents are generally happy but sometimes show low levels of self-control and self-reliance because they lack structure at home. An uninvolved or neglectful parenting style is when parents are often emotionally or physically absent. They have little to no expectation of the child and regularly have no communication. They are not responsive to a child's needs and have little to no behavioral expectations. If present, they may provide what the child needs for survival with little to no engagement. There is often a large gap between parents and children with this parenting style. [vague] Children with little or no communication with their own parents tended to be victimized by other children and may themselves be exhibit deviant behavior. Children of uninvolved parents suffer in social competence, academic performance, psychosocial development and problem behavior. There is no single definitive model of parenting. With authoritarian and permissive parenting on opposite sides of the spectrum, most conventional and modern models of parenting fall somewhere in between. Parenting strategies, as well as behaviors and ideals of what parents expect, (whether communicated verbally and/or non-verbally) can also play a significant role in a child's development. Parenting practices reflect the cultural understanding of children. Parents in individualistic countries like Germany spend more time engaged in face-to-face interaction with babies and more time talking to the baby about the baby. Parents in more communal cultures, such as West African cultures, spend more time talking to the baby about other people, and more time with the baby facing outwards, so that the baby sees what the mother sees. Children develop skills at different rates as a result of differences in these culturally driven parenting practices. Children in individualistic cultures learn to act independently and to recognize themselves in a mirror test at a younger age than children whose cultures promote communal values. However, these independent children learn self-regulation and cooperation later than children in communal cultures. In practice, this means that a child in an independent culture will happily play by themselves, but a child in a communal culture is more likely to follow their parents instruction to pick up their toys. Children that grow up in communities with a collaborative orientation to social interaction, such as some Indigenous American communities, are also able to self-regulate and become very self-confident, while remaining involved in the community. In Kenya, Africa, many male parents are not encouraged to be involved in their children's lives till they are about 12 years old. Parenting skills are the guiding forces of a "good parent" to lead a child into a healthy adult, they influence on development, maintenance, and cessation of children’s negative and positive behaviors. Parenting takes a lot of skill and patience and is constant work and growth. The cognitive potential, social skills, and behavioral functioning a child acquires during the early years are fundamentally dependent on the quality of their interactions with their parents. Keep an open communication and stay educated on what their child is seeing, learning and doing and how it is affecting them. Parenting skills are often assumed to be self-evident or naturally present in parents. But those who come from a negative/vulnerable environment might tend to pass on what they suffered onto their families oppressed by their own experiences, those who have inaccurate beliefs or poorer understanding of developmental milestones only engage in the way they know which may result in problematic parenting. 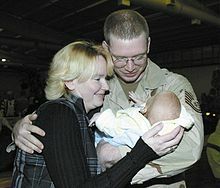 Parenting practices are at particular risk during marital transitions like separation, divorce and remarriage; if children fail to adequately adjust to these changes, they would be at risk of negative outcomes for example increased rule-breaking behavior, problems with peer relationships and increased emotional difficulties. Urie Bronfenbrenner said on this matter that "Every kid needs one adult who is crazy about [them]." Virginia Satir emphasized on these views by stating "Parenting...the most complicated job in the world." Parent-child relationship skills: quality time spend, positive communications and delighting affection. Encouraging desirable behavior: praise and encouragement, nonverbal attention, facilitating engaging activities. Teaching skills and behaviors: being a good example, incidental teaching, benevolent communication of the skill with role playing & other methods, communicating logical incentives and consequences. Managing misbehavior: establishing assertive ground rules/limit setting, directed discussion, providing clear and calm instructions, communicate and enforce appropriate consequences for problem behavior, using restrictive means like quiet time and time out with authoritative stance and not authoritarian. Anticipating and planning: advanced planning and preparation for readying the child for challenges, finding out engaging and age appropriate developmental activities, preparing token economy for self-management practice with guidance, holding follow-up discussions, identifying possible negative developmental trajectories. Self-regulation skills: Monitoring behaviors (own and children's), setting developmentally appropriate goals, evaluating strengths and weaknesses and setting practice tasks for skills improvement, monitoring & preventing internalizing and externalizing behaviors, setting personal goals for positive change. Mood and coping skills: reframing and discouraging unhelpful thoughts (diversions, goal orientation and mindfulness), stress and tension management (for self and in the house), developing personal coping statements and plans for high-risk situations, developing mutual respect and consideration between members of the family, positive involvement: engaging in support and strength oriented collaborative activities/rituals for enhancing interpersonal relationships. Partner support skills: improving personal communication, giving and receiving constructive feedback and support, avoiding negative family interaction styles, supporting and finding hope in problems for adaptation, collaborative or leading/navigate problem solving, promoting relationship happiness and cordiality. Consistency is considered as the “backbone” of positive parenting skills and “overprotection” as the weakness. Parents around the world want what they believe is best for their children. However, parents in different cultures have different ideas of what is best. For example, parents in a hunter–gatherer society or surviving through subsistence agriculture are likely to promote practical survival skills from a young age. 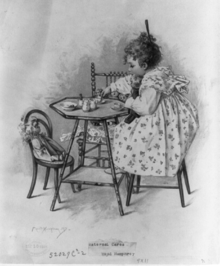 Many such cultures begin teaching babies to use sharp tools, including knives, before their first birthdays. This is seen in communities where children have a considerate amount of autonomy at a younger age and are given the opportunity to become skilled in tasks that are sometimes classified as adult work by other cultures. In some Indigenous American communities, child work provides children the opportunity to learn cultural values of collaborative participation and prosocial behavior through observation and participation alongside adults. These communities value respect, participation in the community, and non-interference. The practice of non-interference is an important value in Cherokee culture. It requires that one respects the autonomy of others in the community by not interfering in their decision making by giving unsolicited advice. Indigenous American parents often try to encourage curiosity in their children. Many use a permissive parenting style that enables the child to explore and learn through observation of the world around it. Differences in values cause parents to interpret different actions in different ways. In some cultures, asking questions is seen by many European American parents as a sign that the child is smart. Italian parents, value social and emotional abilities and having an even temperament. They also value social and emotional competence, and believe that asking questions is a sign that the child has good interpersonal skills. Conversely, Dutch parents value independence, long attention spans, and predictable schedules, so they view asking questions negatively and as a sign that the child is not independent. The values cultures praise can be more broad than just about a specific topic such as asking questions. parents strongly value intellectual ability, especially in a narrow "book learning" sense. American parents strongly value intellectual ability, especially in a narrow "book learning" sense. Hispanic parents, on the other hand, value respect as a behavioral goal. Along with this, they believe in the idea of putting family above the individual, and emphasize the values of the catholic church. (Gonzales). The Kipsigis people of Kenya value children who are not only smart, but who employ that intelligence in a responsible and helpful way, which they call ng/om. Other cultures, such as Sweden and Spain, value more personal values such as being sociable, having security, and happiness. Parents in East Asia come from a culture that values nurturing and governance within families; this is called “guan” [gw-an]. They believe that good parenting comes from order within a household. Even with this value, the concept of psychological control is also more common in this area than anywhere else. Games can be used out of school to help reinforce ideas learned in school like looking at a map and playing geography games, downloading educational game software for a computer at home to learn reading, typing, science and math. Games like Wii Fit have even been used to help with patients receiving rehabilitation for knee surgery. Allowing kids time to play video games can help their learning because through video games kids learn memory, hand eye hand eye coordination and visual acuteness. Piaget believed in the “importance of play in learning” this learning can be done both at home and in schools. Some good educational tools in schools today include online games like Kahoot!, BINGO, language apps like Duolingo, math apps like Sushi Monster, using card games to do addition, subtraction, multiplication. Some schools even use Minecraft for tinkering. Educational games have been proven to have a positive effect on students. Improved learning in educational games include but are not limited to: improved hand eye coordination, memory ability, and visual acuteness. Educational games are linked to technology and many of the games listed above require a device to download the app or computer software. Some of the games only need access to the internet to be played. This play through learning is a great way to keep students engaged and having fun while learning their math facts or work in other subjects. As well, a recent study in the United Kingdom performed an experiment in hopes of researching if there is a correlation between the use of touch screen devices and brain development in children from ages 6 months to 36 months. In the study they found that the act of scrolling on screens aids with fine motor skills such as stacking blocks. Other skills such under gross motor or language categories had a much less significant effect. 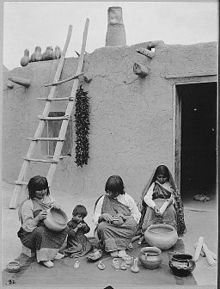 It is common for parents in many Indigenous American communities to use different tools in parenting such as storytelling —like myths— consejos (Spanish for advice, in this context), educational teasing, nonverbal communication, and observational learning to teach their children important values and life lessons. Storytelling is a way for Indigenous American children to learn about their identity, community, and cultural history. Indigenous myths and folklore often personify animals and objects, reaffirming the belief that everything possess a soul and must be respected. These stories help preserve language and are used to reflect certain values or cultural histories. Consejos are a narrative form of advice giving that provides the recipient with maximum autonomy in the situation as a result of their indirect teaching style. Rather than directly informing the child what they should do, the parent instead might tell a story of a similar situation or scenario. The character in the story is used to help the child see what the implications of their decision may be, without directly making the decision for them. This teaches the child to be decisive and independent, while still providing some guidance. The playful form of teasing is a parenting method used in some Indigenous American communities to keep children out of danger and guide their behavior. This form of teasing utilizes stories, fabrications, or empty threats to guide children in making safe, intelligent decisions. It can teach children values by establishing expectations and encouraging the child to meet them via playful jokes and/or idle threats. For example, a parent may tell a child that there is a monster that jumps on children's backs if they walk alone at night. This explanation can help keep the child safe because instilling that alarm creates greater awareness and lessens the likelihood that they will wander alone into trouble. In Navajo families, a child’s development is partly focused on the importance of "respect" for all things as part of the child’s moral and human development. "Respect" in this sense is an emphasis of recognizing the significance of and understanding for one's relationship with other things and people in the world. Nonverbal communication is much of the way that children learn about such "respect" from parents and other family members. For example, in a Navajo parenting tool using nonverbal communication, children are initiated at an early age into the practice of an early morning run through any weather condition. This form of guidance fosters “respect” not only for the child's family members but also to the community as a whole. On this run, the community uses humor and laughter with each other, without directly including the child—who may not wish to get up early and run—to promote the child’s motivation to participate and become an active member of the community. To modify children’s behavior in a nonverbal manner, parents also promote inclusion in the morning runs by placing their child in the snow and having them stay longer if they protest; this is done within a context of warmth, laughter, and community, to help incorporate the child into the practice. A tool parents use in Indigenous American cultures is to incorporate children into everyday life, including adult activities, to pass on the parents’ knowledge by allowing the child to learn through observation. This practice is known as LOPI, Learning by Observing and Pitching In, where children are integrated into all types of mature daily activities and encouraged to observe and contribute in the community. This inclusion as a parenting tool promotes both community participation and learning. In some Mayan communities, young girls are not permitted around the hearth, for an extended period of time since corn is sacred. Despite this being an exception to the more common Indigenous American practice of integrating children into all adult activities, including cooking, it is a strong example of observational learning. These Mayan girls can only see their mothers making tortillas in small bits at a time, they will then go and practice the movements their mother used on other objects, such as the example of kneading thin pieces of plastic like a tortilla. From this practice, when a girl comes of age, she is able to sit down and make tortillas without any explicit verbal instruction as a result of her observational learning. Family planning is the decision regarding whether and when to become parents, including planning, preparing, and gathering resources. Prospective parents may assess (among other matters) whether they have access to sufficient financial resources, whether their family situation is stable, and whether they want to undertake the responsibility of raising a child. Worldwide, about 40% of all pregnancies are not planned, and more than 30 million babies are born each year as a result of unplanned pregnancies. Reproductive health and preconception care affect pregnancy, reproductive success, and the physical and mental health of both mother and child. A woman who is underweight, whether due to poverty, eating disorders, or illness, is less likely to have a healthy pregnancy and give birth to a healthy baby than a woman who is healthy. Similarly, a woman who is obese has higher risks of difficulties, including gestational diabetes. Other health problems, such as infections and iron-deficiency anemia, can be detected and corrected before conception. Pregnant women and their unborn children benefit from moderate exercise, sufficient sleep, and high-quality nutrition. During pregnancy, the unborn child is affected by many decisions made by the parents, particularly choices linked to their lifestyle. The health, activity level and nutrition available to the mother can affect the child's development before birth. Some mothers, especially in relatively wealthy countries, eat too much and spend too much time resting. Other mothers, especially if they are poor or abused, may be overworked and may not be able to eat enough, or not able to afford healthful foods with sufficient iron, vitamins, and protein, for the unborn child to develop properly. Newborn parenting, is where the responsibilities of parenthood begins. A newborn's basic needs are food, sleep, comfort and cleaning which the parent provides. An infant's only form of communication is crying, and attentive parents will begin to recognize different types of crying which represent different needs such as hunger, discomfort, boredom, or loneliness. Newborns and young infants require feedings every few hours which is disruptive to adult sleep cycles. They respond enthusiastically to soft stroking, cuddling and caressing. Gentle rocking back and forth often calms a crying infant, as do massages and warm baths. Newborns may comfort themselves by sucking their thumb or a pacifier. The need to suckle is instinctive and allows newborns to feed. Breastfeeding is the recommended method of feeding by all major infant health organizations. If breastfeeding is not possible or desired, bottle feeding is a common alternative. Other alternatives include feeding breastmilk or formula with a cup, spoon, feeding syringe, or nursing supplementer. The forming of attachments is considered to be the foundation of the infant/child's capacity to form and conduct relationships throughout life. Attachment is not the same as love and/or affection although they often go together. Attachments develop immediately and a lack of attachment or a seriously disrupted capacity for attachment could potentially do serious damage to a child's health and well-being. Physically, one may not see symptoms or indications of a disorder but the child may be emotionally affected. Studies show that children with secure attachment have the ability to form successful relationships, express themselves on an interpersonal basis and have higher self-esteem. Conversely children who have caregivers who are neglectful or emotionally unavailable can exhibit behavioral problems such as post-traumatic stress disorder or oppositional defiant disorder  Oppositional-defiant disorder is a pattern of disobedient and defiant behavior toward authority figures. Toddlers are small children range between 12 to 36 months old who are much more active than infants and become challenged with learning how to do simple tasks by themselves. At this stage, parents are heavily involved in showing the small child how to do things rather than just doing things for them; it is usual for the toddler to mimic the parents. Toddlers need help to build their vocabulary, increase their communication skills, and manage their emotions. Toddlers will also begin to understand social etiquette such as being polite and taking turns. Toddlers are very curious about the world around them and eager to explore it. They seek greater independence and responsibility and may become frustrated when things do not go the way they want or expect. Tantrums begin at this stage, which is sometimes referred to as the 'Terrible Twos'. Tantrums are often caused by the child's frustration over the particular situation, sometimes simply not being able to communicate properly. Parents of toddlers are expected to help guide and teach the child, establish basic routines (such as washing hands before meals or brushing teeth before bed), and increase the child's responsibilities. It is also normal for toddlers to be frequently frustrated. It is an essential step to their development. They will learn through experience; trial and error. This means that they need to experience being frustrated when something does not work for them, in order to move on to the next stage. When the toddler is frustrated, they will often behave badly with actions like screaming, hitting or biting. Parents need to be careful when reacting to such behaviors, giving threats or punishments is not helpful and will only make the situation worse. Research groups led by Daniel Schechter, Alytia Levendosky, and others have shown that parents with histories of maltreatment and violence exposure often have difficulty helping their toddlers and preschool-age children with these very same emotionally dysregulated behaviors, which can remind traumatized parents of their adverse experiences and associated mental states. Regarding gender differences in parenting, data from the US in 2014 states that, on an average day, among adults living in households with children under age 6, women spent 1.0 hour providing physical care (such as bathing or feeding a child) to household children. By contrast, men spent 23 minutes providing physical care. 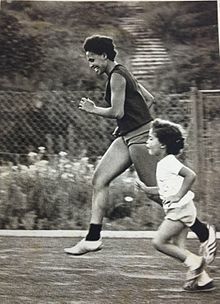 Sprinter Miriam Siderenski running alongside her daughter. Younger children are becoming more independent and are beginning to build friendships. They are able to reason and can make their own decisions given hypothetical situations. Young children demand constant attention, but will learn how to deal with boredom and be able to play independently. They also enjoy helping and feeling useful and able. Parents may assist their child by encouraging social interactions and modelling proper social behaviors. A large part of learning in the early years comes from being involved in activities and household duties. Parents who observe their children in play or join with them in child-driven play have the opportunity to glimpse into their children’s world, learn to communicate more effectively with their children and are given another setting to offer gentle, nurturing guidance. Parents are also teaching their children health, hygiene, and eating habits through instruction and by example. Parents are expected to make decisions about their child's education. Parenting styles in this area diverge greatly at this stage with some parents becoming heavily involved in arranging organized activities and early learning programs. Other parents choose to let the child develop with few organized activities. Children begin to learn responsibility, and consequences of their actions, with parental assistance. Some parents provide a small allowance that increases with age to help teach children the value of money and how to be responsible with it. Parents who are consistent and fair with their discipline, who openly communicate and offer explanations to their children, and who do not neglect the needs of their children in some way often find they have fewer problems with their children as they mature. Parents often feel isolated and alone in parenting adolescents. Adolescence can be a time of high risk for children, where new-found freedoms can result in decisions that drastically open up or close off life opportunities. There are also large changes occurring in the brain during adolescence; the emotional center of the brain is now fully developed but the rational frontal cortex hasn't matured yet to keep all of those emotions in check. Adolescents tend to increase the amount of time they spend with peers of the opposite gender; however, they still maintain the amount of time they spend with those of the same gender--and they do this by decreasing the amount of time they spend with their parents. Although adolescents look to peers and adults outside the family for guidance and models for how to behave, parents remain influential in their development. Studies show that parents have a significant impact, for instance, on how much teens drink. During adolescence children are beginning to form their identity and are testing and developing the interpersonal and occupational roles that they will assume as adults. Therefore, it is important that parents treat them as young adults. Parental issues at this stage of parenting include dealing with "rebellious" teenagers who consistently push the limits. In order to prevent these issues, it is important for the parents to build a trusting relationship with their children. This can be achieved by planning and taking part in fun activities together, keeping promises made to the children, spending time with them, not reminding kids about their past mistakes and listening to and talking to them. When a trusting relationship is built up, adolescents are more likely to approach their parents for help when faced with negative peer pressure. Helping the children build a strong foundation will help them resist negative peer pressure. Parenting does not usually end when a child turns 18. Support may be needed in a child's life well beyond the adolescent years and continues into middle and later adulthood. Parenting can be a lifelong process. Parents may provide financial support to their adult children, which can also include providing an inheritance after death. The life perspective and wisdom given by a parent can benefit their adult children in their own lives. Becoming a grandparent is another milestone and has many similarities with parenting. Roles can be reversed in some ways when adult children become caregivers to their elderly parents. Parents may receive assistance with caring for their children through child care programs. Data from the British Household Panel Survey and the German Socio-Economic Panel suggests that having up to two children increases happiness in the years around the birth, and mostly so for those who have postponed childbearing. However, having a third child does not increase happiness. ^ Bernstein, Robert (20 February 2008). "Majority of Children Live With Two Biological Parents". Archived from the original on 20 April 2008. Retrieved 26 March 2009. ^ Johri, Ashish. "6 Steps for Parents So Your Child is Successful". humanenrich.com. Retrieved 2 March 2014. ^ JON., WITT (2017). SOC 2018 (5TH ed.). [S.l. ]: McGraw-Hill. ISBN 978-1-259-70272-3. OCLC 968304061. ^ Schechter, D.S., & Willheim, E. (2009). Disturbances of attachment and parental psychopathology in early childhood. Infant and Early Childhood Mental Health Issue. Child and Adolescent Psychiatry Clinics of North America, 18(3), 665-87. ^ Grienenberger, J., Kelly, K. & Slade, A. (2005). Maternal Reflective Functioning, Mother-Infant Affective Communication and Infant Attachment: Exploring The Link Between Mental States and Observed Caregiving. Attachment and Human Development, 7, 299-311. ^ Lieberman, A.F. ; Padrón, E.; Van Horn, P.; Harris, W.W. (2005). "Angels in the nursery: The intergenerational transmission of benevolent parental influences". Infant Ment. Health J. 26 (6): 504–20. doi:10.1002/imhj.20071. PMID 28682485. ^ Lareau, Annette (2002). "Invisible Inequality: Social Class and Childrearing in Black Families and White Families". American Sociological Review. 67 (5): 747–76. doi:10.2307/3088916. JSTOR 3088916. ^ "20th Century Evolution of American Parenting Styles". Retrieved 11 May 2015. .
^ Doob, Christopher (2013) (in English). Social Inequality and Social Stratification (1st ed. ed.). Boston: Pearson. p. 165. ^ a b * Spera, C (2005). "A review of the relationship among parenting practices, parenting styles, and adolescent school achievement" (PDF). Educational Psychology Review. 17 (2): 125–46. CiteSeerX 10.1.1.596.237. doi:10.1007/s10648-005-3950-1. ^ Baumrind, D. (1967). Child care practices anteceding three patterns of preschool behavior. Genetic Psychology Monographs, 75, 43–88. ^ Baumrind, D. (1971). Current patterns of parental authority" Developmental Psychology 4 (1, Pt. 2), 1–103. ^ Baumrind, D. (1978). "Parental disciplinary patterns and social competence in children". Youth & Society. 9 (3): 238–76. doi:10.1177/0044118X7800900302. ^ McKay M (2006). Parenting practices in emerging adulthood: Development of a new measure. Thesis, Brigham Young University. Retrieved 9 February 2016. ^ Santrock, J.W. (2007). A topical approach to life-span development, third Ed. New York: McGraw-Hill. ^ Rubin, Mark (2015). "Social Class Differences in Mental Health: Do Parenting Style and Friendship Play a Role?". Mark Rubin Social Psychology Research. Retrieved 29 August 2017. ^ Rubin, M.; Kelly, B M. (2015). "A cross-sectional investigation of parenting style and friendship as mediators of the relation between social class and mental health in a university community". International Journal for Equity in Health. 14 (87): 1–11. doi:10.1186/s12939-015-0227-2. PMC 4595251. PMID 26438013. ^ a b Fletcher, A. C.; Walls, J.K.; Cook, E.C. ; Madison, K.J. ; Bridges, T.H. (December 2008). "Parenting Style as a Moderator of Associations Between Maternal Disciplinary Strategies and Child Well-Being" (PDF). Journal of Family Issues. 29 (12): 1724–44. doi:10.1177/0192513X08322933. ^ a b Brown, Lola; Iyengar, Shrinidhi (2008). "Parenting Styles: The Impact on Student Achievement". Marriage & Family Review. 43 (1–2): 14–38. doi:10.1080/01494920802010140. ^ Finkelhor, D.; Ormrod, R.; Turner, H.; Holt, M. (November 2009). "Pathways to Poly-Victimization" (PDF). Child Maltreatment. 14 (4): 316–29. doi:10.1177/1077559509347012. PMID 19837972. ^ a b Day, Nicholas (30 April 2013). "Cultural differences in how you look and talk at your baby". Slate. Retrieved 3 May 2013. ^ a b Heidi Keller, Relindis Yovsi, Joern Borke, Joscha Kärtner, Henning Jensen, and Zaira Papaligoura (November/December 2004) "Developmental Consequences of Early Parenting Experiences: Self-Recognition and Self-Regulation in Three Cultural Communities." Child Development. 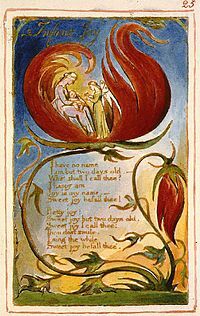 Volume 75, Number 6, pp. 1745–60. Lay summary. ^ Bronfenbrenner, Urie (30 November 1985). "Ecology of the Family as a Context for Human Development: Research Perspectives". Developmental Psychology. 22 (6): 723–42. doi:10.1037/0012-1649.22.6.723. ^ Sanders, Matthew R. (2008). "Triple P-Positive Parenting Program as a public health approach to strengthening parenting" (PDF). Journal of Family Psychology. 22 (4): 506–17. CiteSeerX 10.1.1.1012.8778. doi:10.1037/0893-3200.22.3.506. PMID 18729665. ^ a b c d e f g h Day, Nicholas (10 April 2013). "Parental ethnotheories and how parents in America differ from parents everywhere else". Slate. Retrieved 19 April 2013. ^ Bolin, Inge (2006). Growing Up in a Culture of Respect: Child Rearing in Highland Peru. University of Texas Press. pp. 63–67. ISBN 978-0-292-71298-0. ^ Doan, Stacey N. (May 2017). "Consequences of 'Tiger' Parenting: A Cross-Cultural Study of Maternal Psychological Control and Children's Cortisol Stress Response". Developmental Science. vol. 20: 10 – via EBSCOhost. ^ de Freitas Sara (2018). "Are Games Effective Learning Tools? A Review of Educational Games". Journal of Educational Technology & Society (2): 74. ^ "Using Math Apps to Increase Understanding". Edutopia. Retrieved 5 December 2018. ^ Smith, Tim J.; Karmiloff-Smith, Annette; Cheung, Celeste H. M.; Urabain, Saez de; R, Irati; Bedford, Rachael (2016). "Toddlers' Fine Motor Milestone Achievement Is Associated with Early Touchscreen Scrolling". Frontiers in Psychology. 7: 1108. doi:10.3389/fpsyg.2016.01108. ISSN 1664-1078. PMC 4969291. PMID 27531985. ^ Delgado-Gaitan, Concha (1994). "Consejos: The Power of Cultural Narratives". Anthropology & Education Quarterly. 25 (3): 298–316. doi:10.1525/aeq.1994.25.3.04x0146p. JSTOR 3195848. ^ Brown, P. (2002). Everyone has to lie in Tzeltal. (pp. 241–75) Lawrence Erlbaum Associates Publishers, Mahwah, NJ. ^ a b c Source: Chisholm, J.S. (1996). Learning "respect for everything": Navajo images of development. Images of childhood, 167–183. ^ Paradise, Ruth; Rogoff, Barbara. "Side by Side: Learning by Observing and Pitching In". Journal of the Society of Psychological Anthropology: 102–37. ^ Gaskins, Suzanne; Paradise, Ruth (2010). "Learning Through Observation in Daily Life". In Lancy, David; Bock, John; Gaskins, Suzanne (eds.). The Anthropology of Learning in Childhood. United Kingdom: AltaMira Press. ^ Sedgh, Gilda; Singh, Susheela; Hussain, Rubina (10 September 2014). "Intended and Unintended Pregnancies Worldwide in 2012 and Recent Trends". Studies in Family Planning. 45 (3): 301–14. doi:10.1111/j.1728-4465.2014.00393.x. ISSN 0039-3665. PMC 4727534. PMID 25207494. ^ a b Dean, Sohni V.; Lassi, Zohra S.; Imam, Ayesha M.; Bhutta, Zulfiqar A. (26 September 2014). "Preconception care: nutritional risks and interventions". Reproductive Health. 11 Suppl 3: S3. doi:10.1186/1742-4755-11-S3-S3. PMC 4196560. PMID 25415364. ^ Gartner LM; Morton J; Lawrence RA; Naylor AJ; O'Hare D; Schanler RJ; Eidelman AI; et al. (February 2005). "Breastfeeding and the Use of Human Milk". Pediatrics. 115 (2): 496–506. doi:10.1542/peds.2004-2491. PMID 15687461. ^ SS, Hamilton. "Result Filters." National Center for Biotechnology Information. U.S. National Library of Medicine, 1 October 2008. Web. 13 March 2013. ^ "The Terrible Twos Explained - Safe Kids (UK)". Safe Kids. 10 May 2011. Retrieved 2 May 2012. ^ Pitman, Teresa. "Toddler Frustration". Todaysparent. Retrieved 3 December 2011. ^ Schechter, Daniel S.; Willheim, Erica; Hinojosa, Claudia; Scholfield-Kleinman, Kimberly; Turner, J. Blake; McCaw, Jaime; Zeanah, Charles H.; Myers, Michael M. (2010). "Subjective and Objective Measures of Parent-Child Relationship Dysfunction, Child Separation Distress, and Joint Attention". Psychiatry. 73 (2): 130–44. doi:10.1521/psyc.2010.73.2.130. PMID 20557225. ^ Schechter, Daniel S.; Zygmunt, Annette; Coates, Susan W.; Davies, Mark; Trabka, Kimberly A.; McCaw, Jaime; Kolodji, Ann; Robinson, Joann L. (2007). "Caregiver traumatization adversely impacts young children's mental representations on the MacArthur Story Stem Battery". Attachment & Human Development. 9 (3): 187–205. doi:10.1080/14616730701453762. PMC 2078523. PMID 18007959. ^ Levendosky, Alytia A.; Leahy, Kerry L.; Bogat, G. Anne; Davidson, William S.; von Eye, Alexander (2006). "Domestic violence, maternal parenting, maternal mental health, and infant externalizing behavior". Journal of Family Psychology. 20 (4): 544–52. doi:10.1037/0893-3200.20.4.544. PMID 17176188. ^ "American Time Use Survey". Bureau of Labor Statistics. 24 June 2015. ^ ""WHAT WAS MY TEENAGER THINKING?"". Talking to Teens. 26 September 2017. Retrieved 12 February 2018. ^ "7 Things Most Parents Get Wrong About Teen Drinking". Talking to Teens. 7 July 2017. Retrieved 12 February 2018. ^ Mikko Myrskylä; Rachel Margolis (2014). "Happiness: Before and After the Kids". Demography. 51 (5): 1843–66. CiteSeerX 10.1.1.454.2051. doi:10.1007/s13524-014-0321-x. PMID 25143019.